If Granted A Reprieve, What Should Happen At Culver City Ice Arena? CULVER CITY ICE ARENA CLOSING: In the final installment of this four-part series on the impending closure of the Culver City Ice Arena, and the fact that it holds a significant place in the history of the Los Angeles Kings, a former Kings forward, one who is very familiar with youth hockey in the Los Angeles area, shared his thoughts on what could be done at the site, should there be a reprieve for the ice rink. 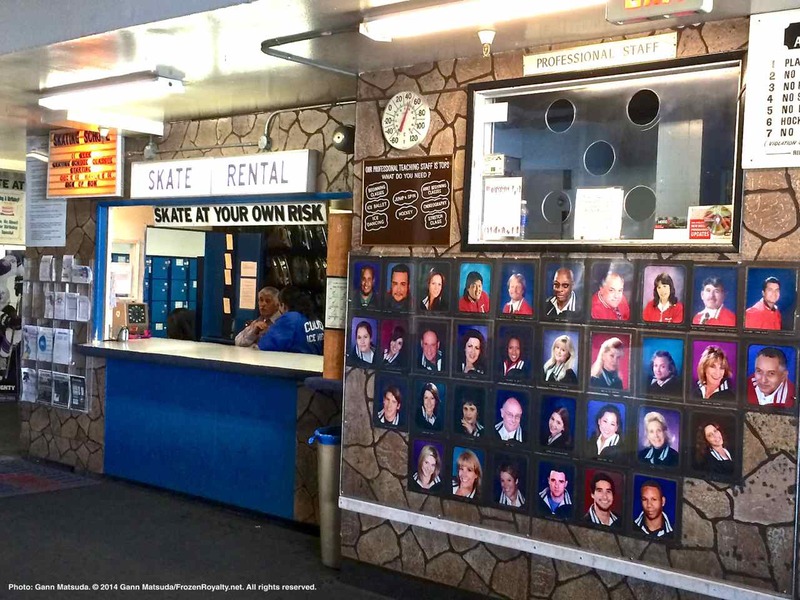 Photos of the professional staff hang on the wall near the entrance to the Culver City Ice Arena. The skate rental counter is in the background. LOS ANGELES — Over the last week, former Los Angeles Kings players and staff have shared their memories from when the team made the Culver City Ice Arena their practice home for nearly twenty years, until they moved to Iceoplex in the San Fernando Valley in 1994. The Culver City Ice Arena is due to close permanently in less than two weeks on February 2, but there are very slim hopes that Planet Granite, the new lessee, will back out of their lease agreement when they discover how challenging it will likely be to renovate the property due to environmental issues, and turn it into a yoga, rock climbing and fitness facility. Should they back out, it is possible that the Kings and their owner, the Anschutz Entertainment Group, would make another attempt to lease the property so that it can remain an ice rink. Although it would take something akin to a miracle for all that to happen, if it does, Kings radio color commentator Daryl Evans, who played right wing for the Kings from 1981-85, and knows more than a thing or two about youth hockey in Southern California, shared his thoughts on the issues facing the Culver City Ice Arena, and what could be done if it gets a reprieve. As with every ice rink, Evans noted that it is about more than hockey in Culver City. With his intimate knowledge of Southern California youth hockey, and his experience operating an ice rink, having played a significant role in the operation of the Toyota Sports Center over the years, Evans has some ideas on what could be done, should the Culver City Ice Arena be saved. Evans also lamented a lost opportunity this year. Evans indicated that the bare bones nature of the Culver City Ice Arena meant that it could not keep up with the times. The Kings/AEG have told Frozen Royalty that they would be willing to invest the money needed to make the Culver City Ice Arena a state-of-the-art facility, should they get the opportunity to do so.